Development on this project has been taken over by EpicSquid. For progress updates check out our discord here or follow my twitter here. Mystical World is the a mod designed to make your world a bit more mystical. This mod is light weight, adding only small features to really keep a magical, but vanilla++ vibe. 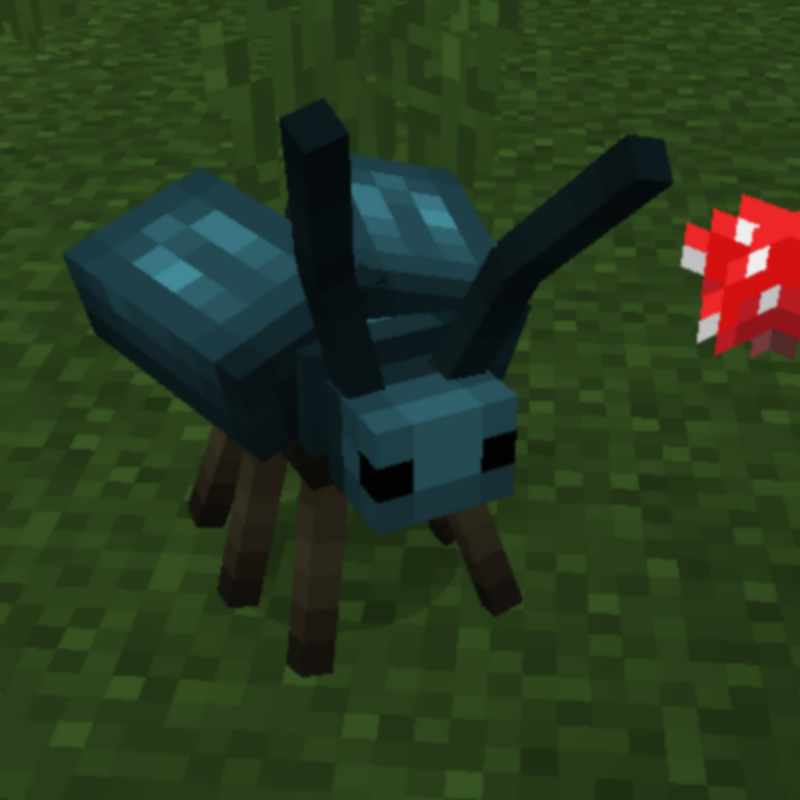 Mods such as Roots 3 will require this mod as it adds necessary components for it to function (primarily, the mobs). Foxes! They spawn in forests, plains, and wintry areas! They drop their pelts, which can be crafted into leather. But why would you do that? Beetles! They spawn in swamps, jungles, plains, and forests! They drop slimeballs, and occasionally their shells, which can be ground into blue dye! Frogs! They spawn in swamps and jungles, and drop slimeballs, and hop around a lot! Deer! They spawn all over the place, and drop mutton and leather! Copper! Expect copper Tools and Armour soon. Silver! Expect silver Tools and Armour soon. There is plenty more planned for the future, including a few small mechanics to make your Minecraft world a bit more mystical. If you have any other questions, ask them in our discord here. Follow EpicSquid here for frequent progress updates! I'm using this mod as the primary ore generator in my (light on tech mods) pack because I simply love the textures and how much control is available over the veins in the CFG, but I need to ask how I can enable all of the other ores available from Mystical World since at the moment I only have Copper and Silver actually being registered. Is this just a case of those ores being disabled when mods that already add them are present? Ah, just had a look at the source. Not that familiar with modding atm but I guess the other metals aren't actually meant to be in the mod at the moment/ever? Can I add this Mod in a Modpack, please? That’s unnecessary on CurseForge. You’re essentially giving the rights to your mod to Curse by uploading it to CurseForge, and any modpack creator can then use that mod in any modpack as long as that, too, is on CurseForge. Asking for permission is unnecessary. A modpack author cannot legally deny you from using a mod in a modpack. There’s nothing wrong with crediting mod authors, though. It’s not obligatory, but it’s customary. Still, there are far too many comments asking mod authors for permission to use their mods in modpacks. Use seed -4968474061163288806 without Mystic World mod. You spawn in a savanna biome with a lot of cows and horses. No Cows, barly any Horses, a lot of chickens. I wonder why so many mob mods add deer? 1. The same could be said for the rabbit hide, which is in the base game. It's fine. 2. Incentive to just leave them in peace and farm vanilla mobs, I guess. 3. Do you also want the moon? Umm… am I able to disable all of the blocks as I just want the mobs from this mod (I know there are mob configs, but not sure about blocks)? Do you mean the ores? If so, then yes there are config options to disable them. 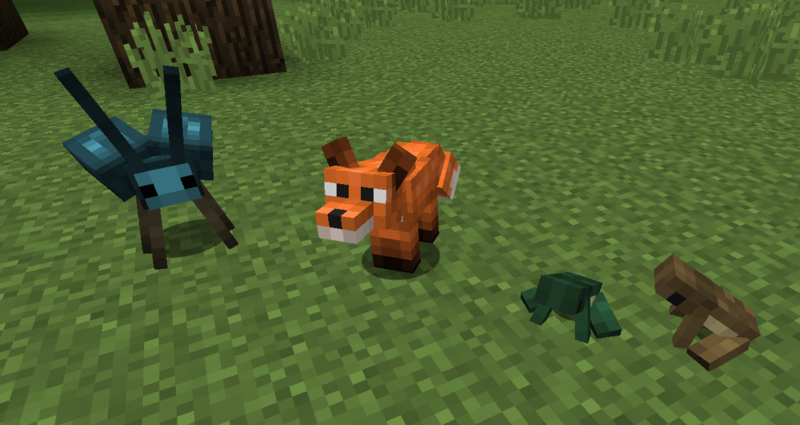 How does this mod interact with the foxes from the Outfox mod?